Mount your favorite small sized team jersey vertically or horizontally. 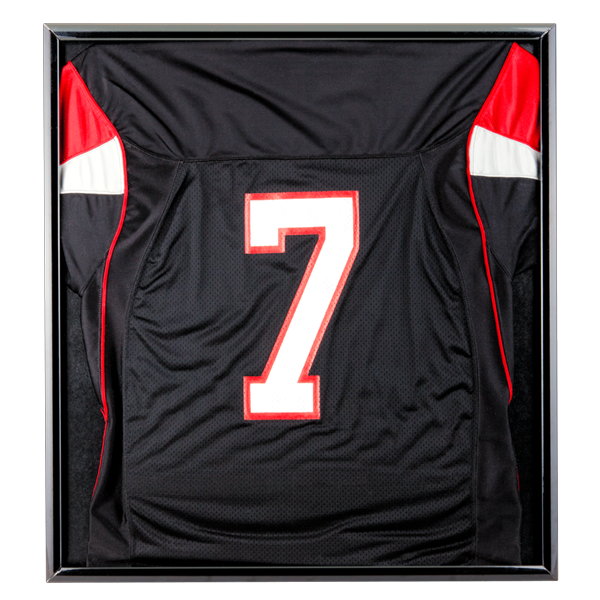 BallQube Jersey Display Cases are lightweight aluminum painted high gloss black with a black background. You can customize your look by inserting your own colored mat board. Measurements are inside dimensions. Length: 22.4" Width: 1.0" Height: 26.5"